Caption slip reads: "Photographer: Sandusky. Date: 1957-10-04. Assignment: Aerial, UCLA campus. Special instructions: Future use -- (Monday?). 1 neg. 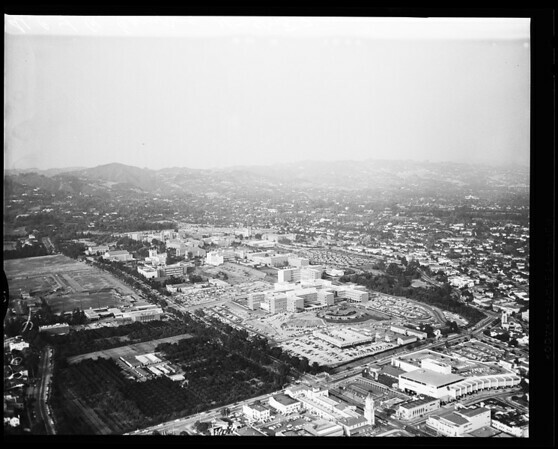 Aerial view, UCLA campus. Send to library".